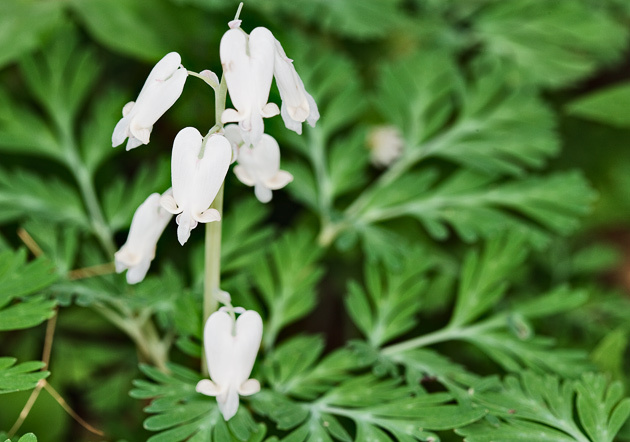 Squirrel Corn (Dicentra canadensis) is a member of the same plant family as Dutchmens Breeches and Bleeding Heart.It’s an early bloomer that appears in early April. 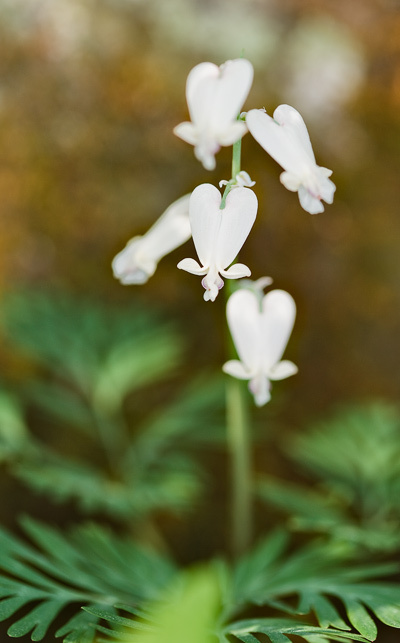 This spring (2010) a profusion of hundreds of Squirrel Corn plants could be found along the Cove Hardwoods Nature Trail in the Chimneys Picnic Area in the Great Smoky Mountains National Park. 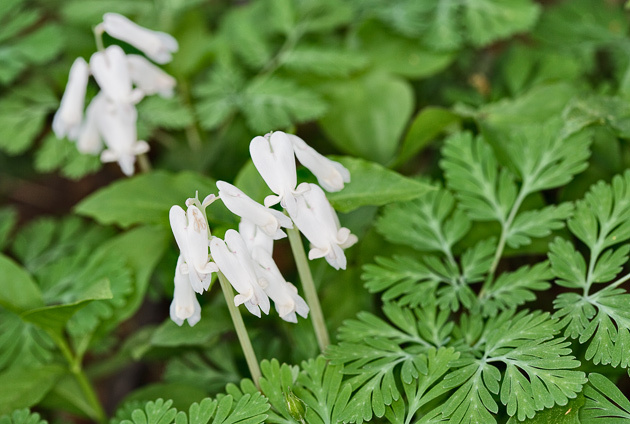 The best way to find either Squirrel Corn or Dutchmens Breeches is to look for the distinctive leaves close to the ground. Look in moist woodlands tucked in close to tree trunks or creek beds. Where does a squirrel corn plant grow? ?